This past weekend I had the excellent opportunity to drive on the Daytona International Speedway Infield during a SCCA PDX. 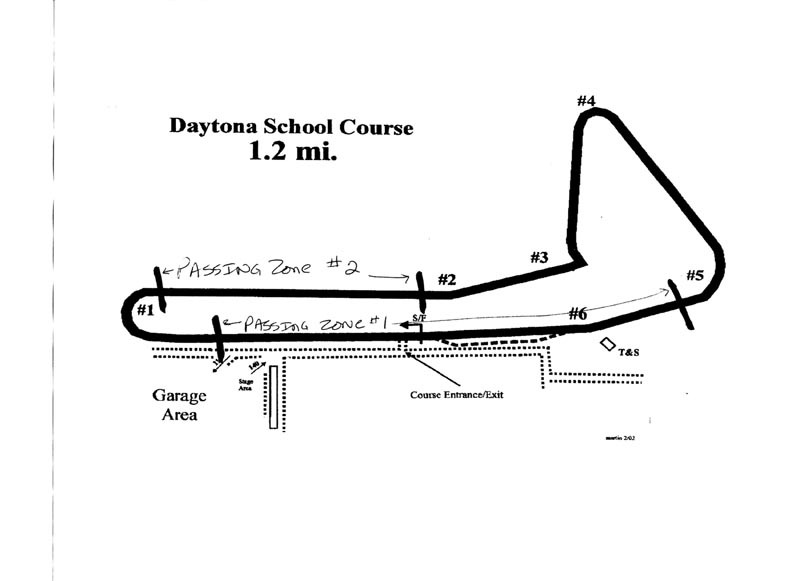 The course is known as the “School Course”, it utilizes a 1.2 mile modified version of the 24hr infield. If you’re unfamiliar with PDX or HPDE track days they are an excellent entry into the world of track driving. I had never ran with SCCA at a track day so I was assigned an instructor. My instructor did an excellent job pointing out the places for improvement and the important understanding of the flags and worker station locations. Saturday was organized into 3 different groups. Group 1 – Advanced/Intermediate Solo drivers Group 2 – Race Drivers School and Group 3 – Novice/Intermediate with Instructors. I was in Group 3. I arrived at the track just after 6:30am and met up with a fellow MSCC member who was driving and instructing that day. It was still dark and registration wasn’t open yet, so I picked the brain of a more experienced driver for a little while. We headed to registration and shortly thereafter through the turn 4 tunnel onto the Daytona International Speedway infield. We got there early enough to snag some garage spots and we unloaded the cars and headed over to tech inspection. After everything was inspected, we did some parade laps to get a feel for the course and how it was laid out. My instructor drove my car and the first thing he commented on was the Kartboy/TiC Shifter and Bushing setup. After the parade laps we had a quick driver’s meeting then it was time for Group 1 to hit the track. During this time I did some final preparations to the car (checked to make sure the trunk monkey was ok), and waited for Group 1 and Group 2 to finish their sessions. Here’s the video from Session 1,2,3 and 4. Dunlop Z2 tires gripped the whole time with not a hint of greasiness. Killer B Motorsport oil pan, pickup and baffle handled the oiling. Oil Pressures stayed where it should be and oil temps never got over 105c. The TiC AST SSTs with 9k/8k springs worked their magic. I was hitting HEAVY bumps/dips in 5th gear at full throttle without any worry. I was running 3 clicks off full stiff front and 4 clicks off full stiff rear. (One click softer than my autox setup). The MTuned tune did very well, car pulled hard down low, I can see why a 30R would work so well on a course like this now. The Rev Works fuel kit is still working great, and I’m grateful to have them as my go to Subaru shop in Central Florida. 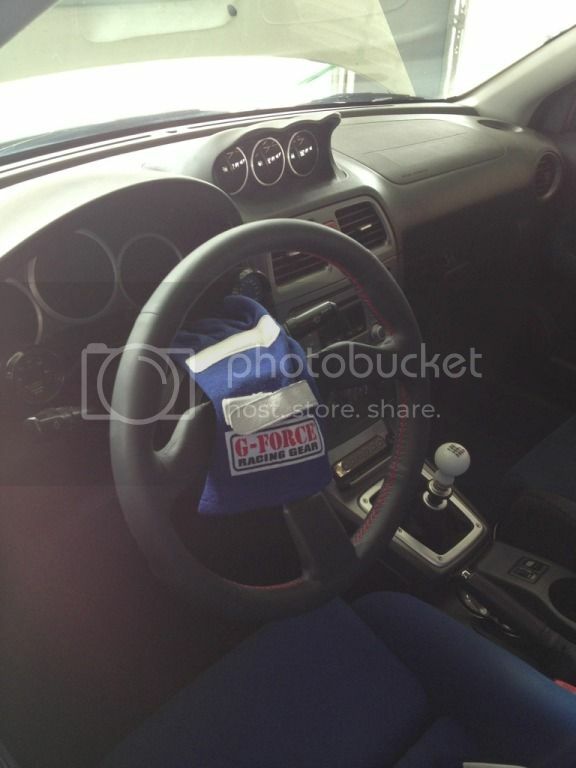 Scott from Rev Works suggested I grab some gloves before the event as the steering wheel can get slick. I listened and ordered some G-Force gloves. Gloves are a game changer!! It felt perfect with my new Splash/Works Bell/Personal Quick release steering wheel setup. A few cell phone pics I snapped. To hold us over until I can find out who the photographer at the track was. Another Rev Works car at the track! This car shaved 380lbs off a stock AP1 S2k! Jay was kind enough to loan me some gas to get through the next sessions, much appreciated my friend. I will be filling up to full and filling my spare 5 gallon jug before getting to the track next time around. The next track day is June 4th at Sebring. I hope to be there and I hope to have a few new goodies installed by that time. We shall see. Talk to you all soon, thanks for the support and remember GO RACING!! Big thanks to Rev Works, Killer B Motorsport, Turn In Concepts, Touge Factory, JPM Coachworks, Wales Garage and Penguin Garage. With their help none of this would’ve gone as smoothly as it has. Thank you again. 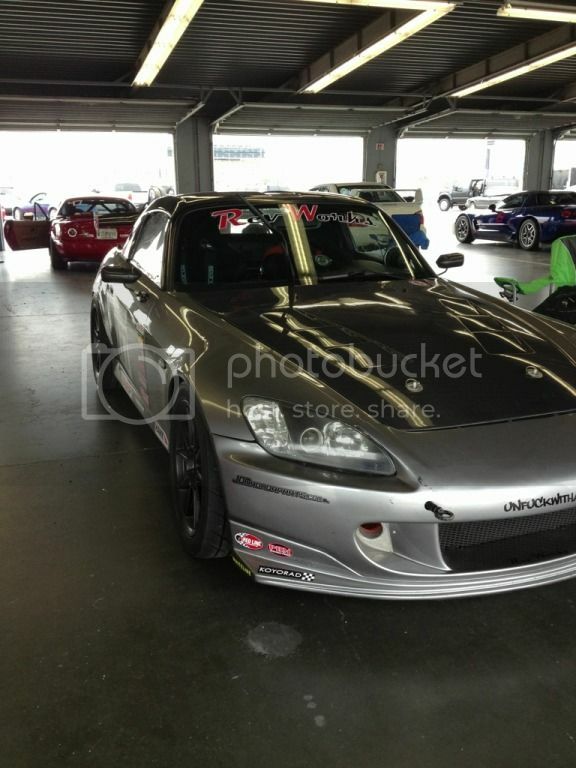 Previous PostUpcoming Central Florida AutoX Events April, May and June.Next PostVolk Racing TE37RT | New Wheel info! !